Announcement Archives - KECH, Inc.
Williamsburg, KY – January 23, 2019 – KECH, Inc., a HUBZone certified, Economically Disadvantaged Woman Owned Small Business (EDWOSB), is excited to announce our recognition as a 2019 Best Places to Work in Kentucky Award Winner! 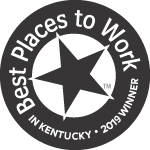 This is the 15th year that the Kentucky Chamber of Commerce, the Kentucky Society for Human Resource Management (KYSHRM) and Lifestyle Health Plans have selected awardees. KECH, Inc. has been recognized in the small business category consisting of companies with 15-149 employees. The selection process, managed by Best Companies Group, is based on an assessment of the company’s employee policies and procedures and the results of an internal employee survey. The competition is a multi-year initiative designed to motivate companies in the Commonwealth to focus, measure and move their workplace environments toward excellence. Numerous studies show a strong correlation between profitability and employee satisfaction and engagement. 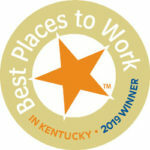 For more details about Best Places to Work in Kentucky, visit www.bestplacestoworkky.com. Interested partners are encouraged to visit the KECH, Inc. website (www.kechco.com) to learn more about how we can help you enhance your operations through our full suite of services. KECH, Inc., is a HUBZone certified, EDWOSB, providing clients with successful IT Service solutions such as L&D, contact center, service desk, consulting and proposal services, and staff augmentation. KECH is currently supporting multiple government agencies as a subcontractor such as the US Citizenship and Immigration Services, and multiple Department of Defense agencies including: SPAWAR, Office of the Secretary of Defense, and Defense Health Agency. Williamsburg, KY – September 25, 2018 – KECH, Inc., a HUBZone certified, Economically Disadvantaged Woman Owned Small Business (EDWOSB), is thrilled to announce that we have been awarded a Department of Defense contract to develop several Computer Based Training (CBT) classes. KECH, Inc. has been selected to develop a series of CBTs to help end-users understand key features and functionality of a DoD application. Using an AGILE approach for the development of each CBT, KECH is working in close collaboration with the client to make certain each CBT is designed and created with the end-user in mind. KECH is using professional software to develop interactive training that can be integrated into a Learning Management System (LMS) or uploaded and launched directly from the DoD web-app in an HTML format. KECH’s learning philosophy was borne from a desire to improve Customer Experience (CX) and address operational issues that impact all industries. As financial constraints increase for both public and private sectors, we must continue to offer services that enhance skills in an everchanging world, increase efficiency, and decrease errors by empowering users with training self-service options. 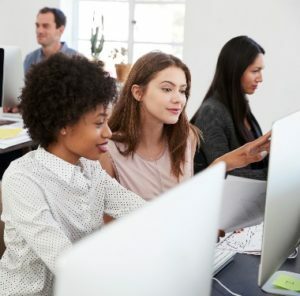 “With current budget pressures and associated business impacts, developing and administering an engaging Learning and Development (L&D) program has become more important than ever,” said Kevin Woznick, COO of KECH. For trainees to succeed, they must feel comfortable using a training platform, which requires the creation of training that is accessible, easy to digest, engaging and fun, and improves confidence with the training subject matter. We developed our KECH Learn offering to modernize training; engage employees, customers, constituents, and end-users; and promote a continual learning culture. KECH Learn is a customizable Learning Management System (LMS) that supports rich content creation and a live virtual classroom environment. Course creation is highly interactive, uses gamification, embeds external sources, and multimedia integration for an engaging learning environment. KECH, Inc., is a HUBZone certified, EDWOSB, providing government and commercial clients with successful IT Service solutions such as L&D, contact center, service desk, consulting, federal procurement services, and staff augmentation. KECH is currently supporting multiple government agencies as a subcontractor such as the US Citizenship and Immigration Services and Defense Health Agency.